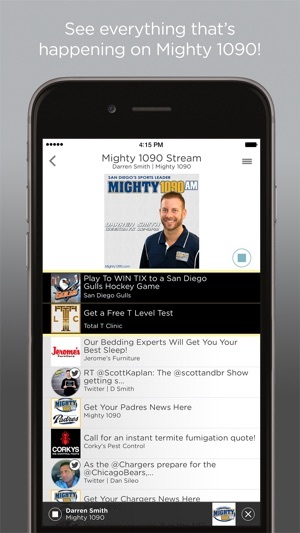 The Mighty 1090 AM is San Diego’s Sports Leader. Listeners can tune into the live broadcast or listen to podcasts. With the latest version of The Mighty 1090 AM Radio app, you can feed your appetite for the best that Mighty 1090 has to offer. 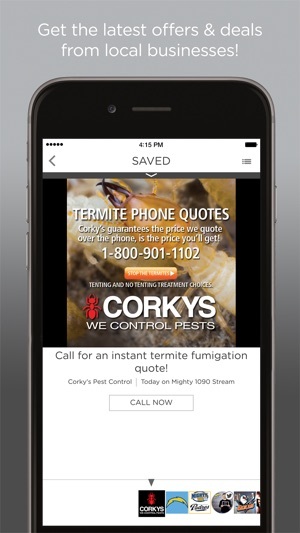 You decide when you want to listen, and when you want to browse by turning the live stream off or on within the app. 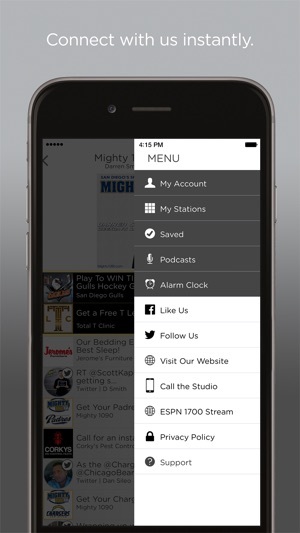 Get what you want off the radio with the latest Mighty 1090 AM Radio App. Our development team is continually working to bring new content and performance improvements to our app. Every time you start the stream, you'll get bombarded with ads! The worst offenders are the preroll video ads! Even more worse is if your network is down momentarily and then restart the stream, you'll once again be bombarded with another ad! Yes, I realize this is a free application but we already have to suffer from the constant radio ads that are already within the radio stream itself! Double whammy! Stop with the annoying Hooters ads with Sileo already!!! Was working but not anymore. The app was working great but as of today nada! I had it on my iPhone and iPad now it’s only available on iPhone. Not good! Hopefully it gets fixed. I’m not in my car to listen and I don’t own a radio. Those things are ancient. I listened to every show either on radio or on this app and loved every minute of it!